Not much happening this week. I spent a good part of the day freezing at the statue. I got a text from Becky this morning saying that her company, No BS Couriers, was bought out by Professional Messenger yesterday. They're laying off everyone tomorrow. Kind of sad. 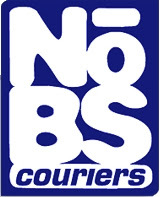 "Nobs" was one of the best, most respected messenger companies in SF.